Right off the bat, I have to confess that I am a huge Monster Hunter fan (you have problems if you are not a fan by the way) and this review was done with that bias being in effect. 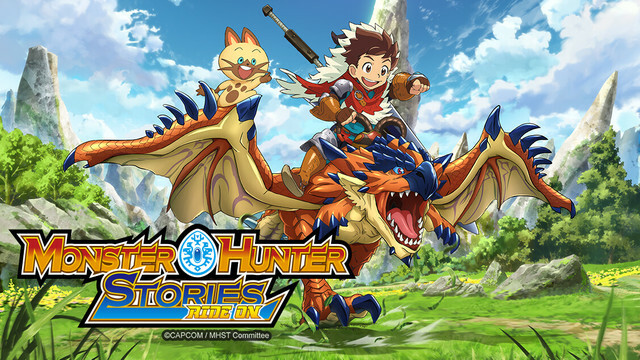 Monster Hunter Stories: Ride On is a spin off series from the main Monster Hunter franchise (which started off as a game) that focuses on a secluded village of Hakum that practices the art of riding monsters in great secrecy. Our main protagonist is Lute, an aspiring rider that has to undergo the Kizuna trial in order to initiate his riding abilities. Upon successfully undergoing their trials, the riders will be granted a Kizuna Ishi (Bond Stone) armlet as well as an Otomon (monster) egg, that will hatch and become the monster that they form a connection with through their Kizuna Ishis. Lute is accompanied by 2 of his childhood friends, Cheval who is a quiet and gentle soul, and Lilia who is knowledgeable and passionate, as they set out to fulfill their dreams of becoming the best riders in the world. The storyline is really straight forward and downright predictable. Lute is the classic shounen character that runs about wanting to be the best rider and manages to find an Otomon egg that turns out to be a Liolaeus (Rathalos), the main flagship monster of the Monster Hunter series. Just like Charizard from Pokemon, Laeus (Lute’s nickname for his Liolaeus) is a flying wyvern that can breathe fire balls and is also known as the King of the Skies. While they have formed a bond of sorts, Lute still cannot fully harness the power of Laeus as of now, but it looks to be an interesting setup as Liolaeus’ in general are very violent monsters. Three episodes into the series, there is a looming threat that is still unexplained which is causing other monsters to flee from their natural habitat, resulting in unusual occurrences (such as a rampaging Tigrex paying an impromptu visit to your village). It is up to Lute and his friends to figure the cause of this strange incident, even though the opening of the series already spoils the impending disaster they will face. The real icing on the cake though is the multiple references of the game and appearances of fan favourite monsters from the series. All the references are subtle but will be very obvious to fans of the franchise, with incidents such as Lilia mixing honey together with bitterbugs to concoct an energy drink (this is true in game as well) and monsters tails being cut (happens all the time in the game if you’re a blademaster). Verdict: Basic storyline structure but is peppered generously with references for fans of the game. The Monster Hunter franchise is known for its very realistic renditions of monsters and humans alike, with very specific detailing such as intricate armor patterns as well as meticulously crafted out monster designs. This series takes a break from the serious outlook of the franchise into a more relaxed and enjoyable tone. The art is very clean and simple, nothing too fancy but the art style still has very good detailing. The characters are drawn in a simple manner, in direct contrast with the amount of detailing that is present in the monsters showcased. Animation wise, there is a blend of clean 2D based animations and some 3D generated graphics, which is mostly used to render out the monsters. The producers have done their level best to make sure the 3D graphics and their 2D counterparts gel seamlessly but there are a few instances where the action can get quite choppy. Most of the time though, the action is fluid and well thought out. Verdict: Good combination of 3D and 2D animation though it gets slightly irregular at times. The opening for Monster Hunter Stories is nice and sets the tone for the anime itself with a great (though filled with some spoilers) opening sequence. 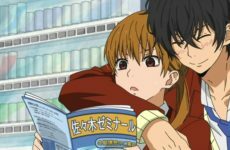 The music is quite an uplifting beat with a good build up that prepares you for the adventure that is about to unfold in each episode. The sound effects are good and crisp, but nothing outstanding. Fans will be able to instantly identify the roars and signature movement sounds of the monsters showcased, as it is a direct replica of the sound effects used in the gaming franchise. In future episodes there might be specific sound tracks for the monsters that appear, similar to the game. This might be hoping for too much but definitely not out of the equation (fingers crossed). Voice acting wise, the cast does a good job of making the series not too tense with a variety of voice actors thrown into the mix, including the legendary Tomukazu Sugita of Gintama fame. Lute has a determined and cheerful tone of voice, in contrast with Cheval’s rather soft and polite tone. Lilia has a more aggressive and assertive tone meanwhile Tomukazu’s signature slacking off tone is used to voice a rather skillful but lazy hunter named Riverto. Verdict: Clear audio that complements the art style of this animation well. Lute is your run of the mill shounen character who is the chosen one (you can tell this right from the start because he has a flying dragon as his trusty steed, meanwhile the others either have herbivores or smaller reptiles as their partners) who manages to create a bond with his monster even before the kinship ritual. This is the key difference between riders and hunters (which I greatly appreciate, and is explained quite thoroughly within the first 3 episodes) as one tames the monsters to be their partners, meanwhile the hunters pursue and kill these beasts to ensure there is safety for all. So far the powers of the monsters are very accurate to the game counterparts, from their move sets to their behavioral patterns and this is the anchor that the whole series is built on. What mixes things up is that the monsters act slightly differently when their riders are around, allowing some amazing feats to be performed that is not seen in the games. Character development is present, but is done very slowly as the series is taking its time to establish the relationships between all the riders and their monsters. Lute and Cheval are close childhood friends who live together and their camaraderie is explored at a very steady pace. Rounding out the trio is Lilia, who has a different aspiration from the boys, as she aims to be something other than a rider and hunter. The pacing is definitely designed for a much younger audience but there is some overarching plot that will pick up as the story progresses. Navirou, Lute’s companion cat, is a character that you will love to hate though, as it manages to boil my blood every time he comes on screen. Navirou, though annoying and self-centered, is a very funny character that complements the other characters well. Verdict: Simple and not overcomplicated powers and abilities like other series, perfect for light watching. 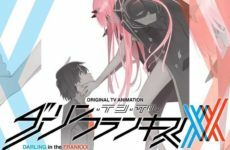 While the first few episodes has not really built up much in terms of a plot, it already has fans in its grasp with all the game references and fluid animations. I will definitely be following this till the end of the series as I am a big fan, however if you are looking for something substantial, this may not be what you are looking for if you are not a fan of the game franchise. 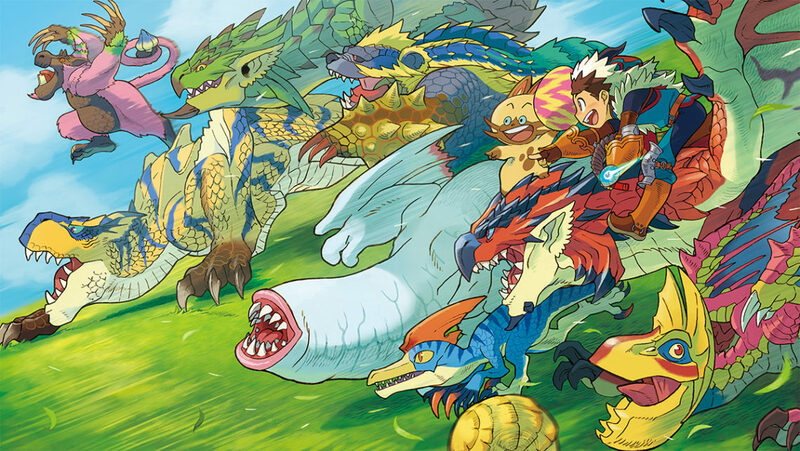 All in all, Monster Hunter Stories is a new refreshing take on the series with the introduction of riders and their principle of living. If you’re a fan like me, this one is a no brainer as you will be able to see the popular game franchise in a different light. Till then, time to clear some quests!